Industrial Floor Coatings | Industrial Floor Epoxy | Floor Coatings Etc. 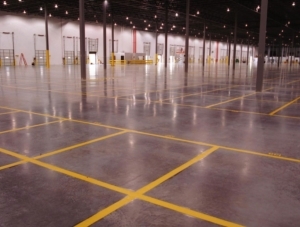 We’ve been installing quality resinous floors and industrial floor coatings for 40 years. In fact, we’ve completed more than 3,000 contracts. Presently, we are operating at a rate of about six (6) jobs per week (300 annually). Of the 300 jobs per year that we do, about 200 of them are Automotive, Fire/EMC and Aviation related. The other 100 are industrial and commercial manufacturing, retail, warehousing, etc. To say that we are one of the largest in the country would be an understatement. We think that there are about 1,000 resinous flooring contractors in the U.S. WE further think that only about 10% of them do 150 jobs per year. WE do 300! WE think that perhaps 5% of them manufacture their own materials. We’re among the 5%. It would be very rare for any other contractor to beat our price on a true “apples to apples” basis. In fact, anyone claiming to do what we do for a better price would be suspect. We’d be happy to show YOU how to prove OUR point for us. It would only require five (5) minutes of your time. We consistently do work 1,000 to 2,500 miles from our home base and we’re still the best price. MOST EXPERIENCED & BEST PRICE! Sounds like a winning combination to us.